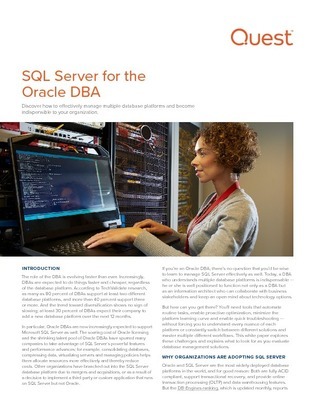 The role of the DBA is evolving faster than ever. In fact, according to TechValidate research, as many as 80% of DBAs support at least 2 different database platforms. In this white paper, learn why organizations are adopting SQL Server and how to evaluate database management solutions.